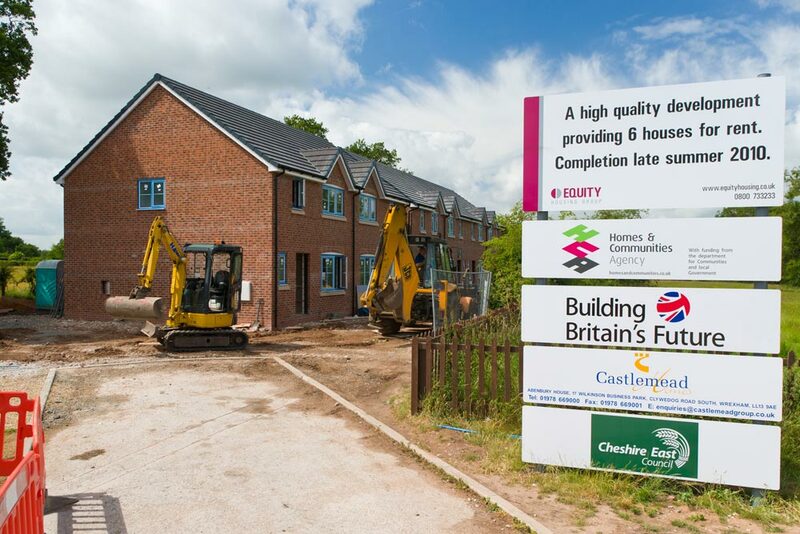 Development of 6 Affordable Houses for Equity Housing Association, Bunbury, Cheshire. Castlemead purchased a former light industrial site in the centre of the picturesque village of Bunbury in 2002 and developed 7 private houses on the main road frontage. This development left a surplus section of land to the rear of the new properties, in a quiet setting overlooking pasture land. After investigating options with the local Rural Housing Enabler it became clear that the Village was in desperate need of affordable housing for local residents. This resulted in Castlemead promoting the site as a “Rural Exception” for development of affordable housing. 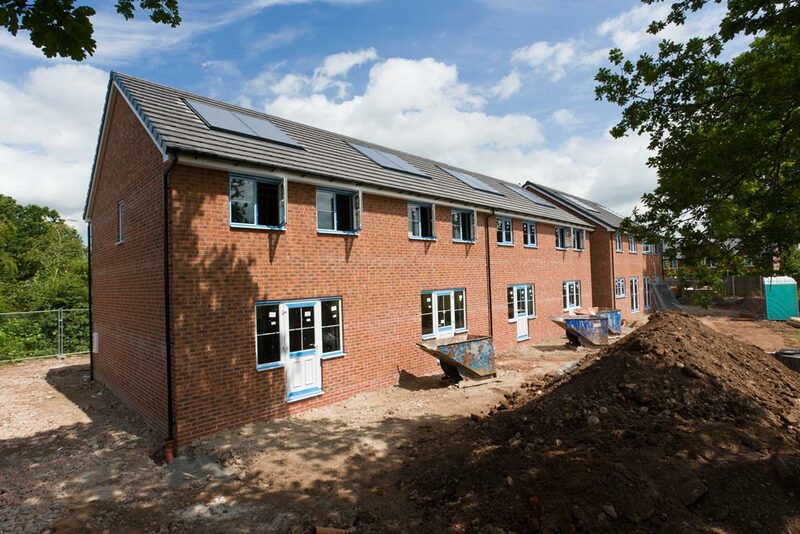 Whilst the land could have been developed for alternative commercial uses, our innovative approach to land use has led to the creation of 6 affordable properties in a sustainable location, incorporating renewable energy technology and built to Code for Sustainable Homes Level 3.